Performance – As I’ve stated in the 2014 Mazda6 review, the age of the V6 is coming to an end for mainstream high volume vehicles. 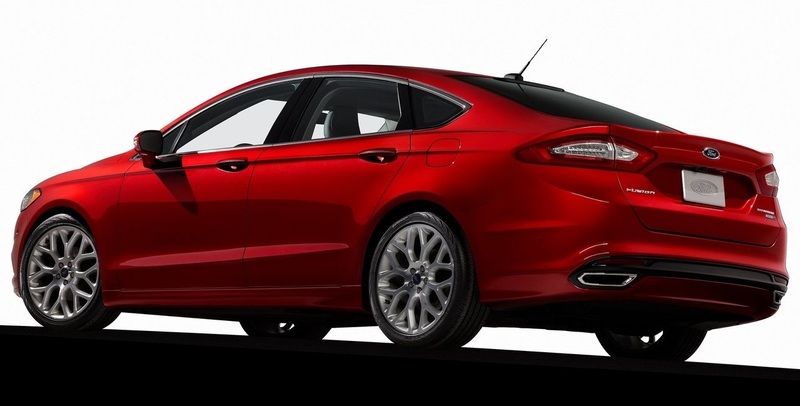 This newest Ford Fusion has 3 engine choices: a traditional 2.5L, a turbocharged direct injected 1.6L, and a 2.0L turbocharged direct injected engine as was tested. The new EcoBoost engine delivers 231 hp and 270 lb-ft of torque which makes this one of the more powerful 4 cylinder turbocharged gasoline engine that is available to consumers from any auto company. In terms of acceleration and outright speed, the car feels more powerful than it actually is thanks to its high torque output. Turbo lag is non-existent but the engine noise is not only unpleasing but also intrusive in the cabin (more on that later on). The biggest let down of this car is around the corners. Whilst it does have the looks of an Aston Martin, it drives more like a 1979 Austin Maxi through the corners. Through the corners it doesn’t feel as crisp as the 2014 Mazda6 and understeer is very easy to provoke. I don’t know what it is about American cars, but they just can’t seem to design them in such a way that they can be comfortable and sporty. 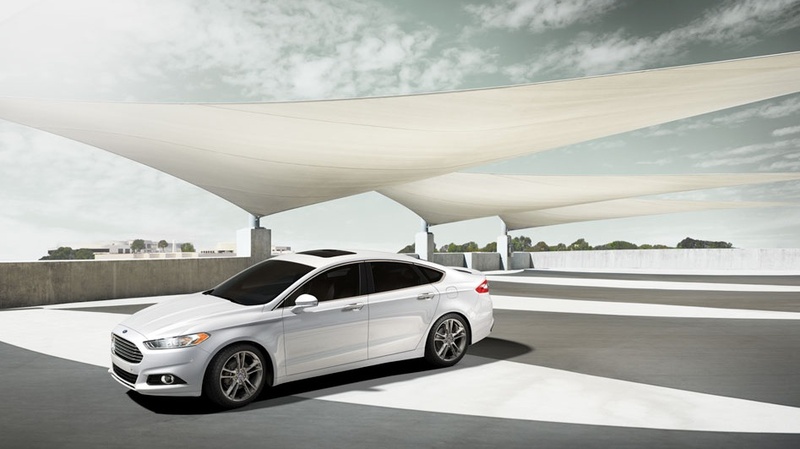 Comfort – This is one area where mainstream American cars outperform the competition. 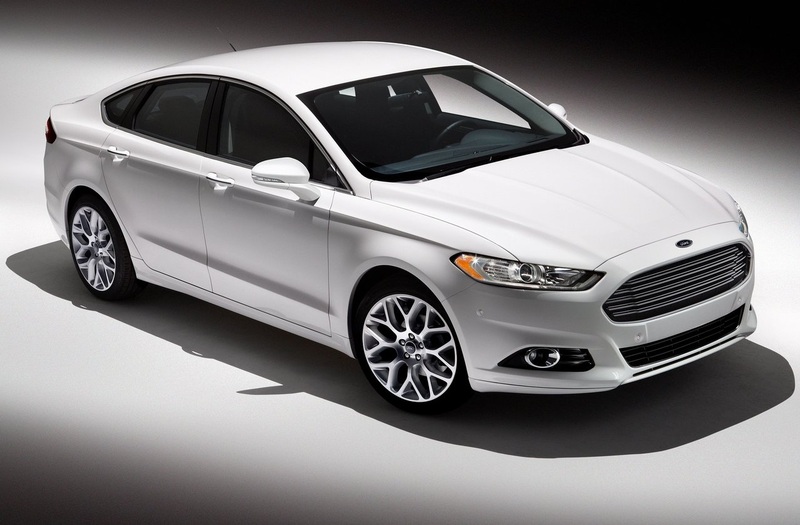 The interior of the Fusion is a blend of rich leather, shiny aluminum trim (not real), and soft black or cream coloured plastics. That may not sound intriguing but it’s hard to describe the massive amount of room that is available and the softness of the seats. However, as I mentioned earlier, the cabin does allow a lot of engine and tire noise inside which on long highway drives can be very tiring and/or annoying. Unfortunately, it seems like all car manufacturers now are putting a huge amount of buttons on the steering wheel which makes it cluttered and in my opinion takes away from the driving experience. It makes sense to put “common” buttons on the wheel (keeping both hands on the wheel) but your brain is focused on changing the radio station or changing the sat nav and not actually on what’s on the road in front of you. 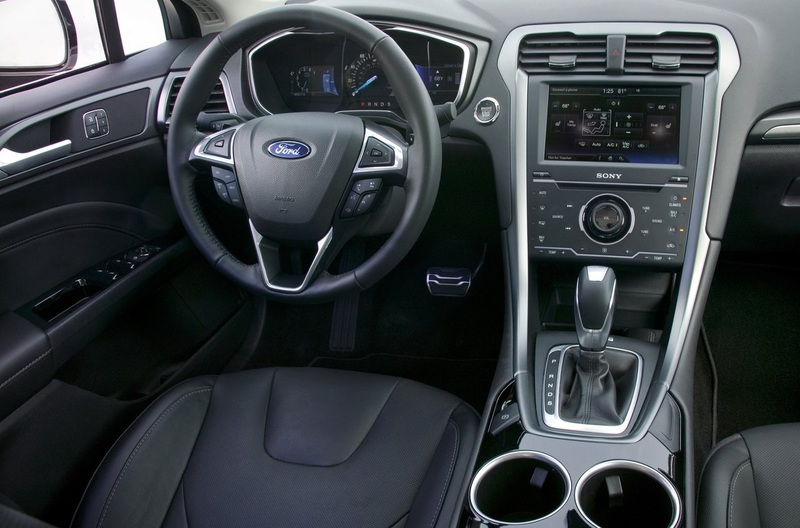 Another thing that I really didn’t like on the Fusion, is the touch sensitive buttons on the center console. The controls for the climate control, radio, and other comforts use touch sensitive buttons which a lot of the time they either didn’t sense me touching the button or changed a setting that I didn’t touch. What’s wrong with normal buttons Ford? Odds and Ends – I’ve said it before and I’ll say it again, it looks like an Aston Martin. I never said that it was a bad thing, actually I think it looks really good… especially in white. It is unfortunately almost $3000 more expensive than its closest competitors and this could be a big factor when consumers spend their hard earned money.